The Four Species are an etrog, a palm branch, two willow branches and three myrtle branches. 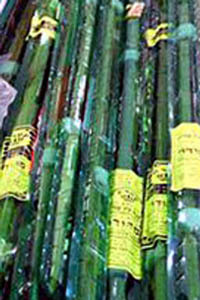 The six branches are bound together and referred to collectively as the lulav. The etrog is held separately. During the Jewish holiday of Sukkot, with these four species in hand one recites a blessing and waves the species in a special ceremony (called na'anu'im – נענועים) in six directions (east, south, west, north, up and down, symbolizing the fact that God is everywhere). In biblical times, these so-called "four species" served as an offering of thanksgiving and celebration at harvest time. The Torah chose four species according to those kinds which abound in the Land of Israel. Israel has a wide variety of climates and geography, and each of the Four Species of Sukkot represents a different climate and symbolism. 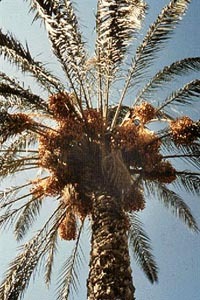 The aravah and the etrog need large amounts of water to thrive, the palm tree (lulav) and hadas can do with less water. 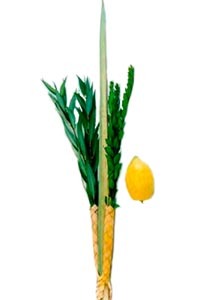 1.Etrog (Hebrew: אתרוג) is one of several varieties of citron, – the lower coastal areas and valleys - Symbol of Fertility - "The fruit of a goodly tree". The only citrus known to have grown here in ancient times is the citron (etrog) described in the Bible as "the fruit of the glorious (hadar) tree" (Leviticus 24:40). In modern Hebrew hadar (glory, grandiosity, splendor) has come to refer to all citrus fruits. This is the only one of the four species which is actually a fruit. Its inclusion symbolizes the zenith of agricultural development, when the farmers of Israel were able to spare the time and effort to raise fruit trees for their majesty and beauty. 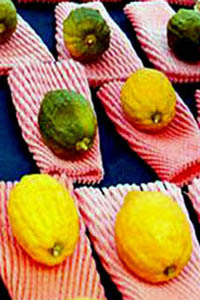 The etrog produces fruit throughout the year. The pittom or stigma (the fruit's female organ) stays attached to the fruit, even after it has ripened. In some species the pittom protrudes prominently from the fruit. This also explains how the etrog has become a symbol of fertility. 2.Lulav (Hebrew: לולב) is a ripe, green, closed frond of the date palm tree - Palm trees love hot and dry climates, but they don’t give much fruit along the coast, where it may be hot in the summer but it’s also very humid, they prefer the deserts - Symbol of Victory. In the Second Temple Period, the palm was a symbol of victory: "They came to the fort in Jerusalem with praise and with date fronds and with lyres and with harps," the Book of Maccabees, following a Jewish victory over the Greeks. The fronds are reminders of the Jewish people's 40-year wandering in the desert - Date palms also appeared on Jewish victory coins of that period. 3.Hadas (Hebrew: הדס, pl. hadassim - הדסים) is a bough of the myrtle tree – Hadassim prefer the colder mountainous regions - Symbol of Immortality and Success. The Hadas reminds the forest thickets that the Israelites found covering the hill country when they entered the land in the days of Joshua. 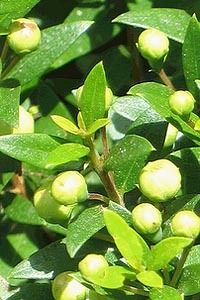 The Hadas, myrtle is characterized by its leafy branches that also cover the trunk of the tree. Its branches remain upright and fresh long after cutting. It withstands drought; even after fire, the myrtle pushes out new leaves. To the renaissance, since it was forever green, it symbolized everlasting love. 4.Aravah (Hebrew: ערבה, pl. 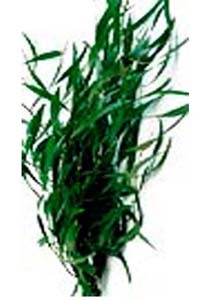 aravot - ערבות) is a leafy branch of the willow tree – The Aravah grows only within a few meters of streams that flow all year long - Symbol of Dependence on Water. Willows only flourish in water; they wilt the day that they are cut. Willows grow along the banks of the Jordan River, where the Israelites encamped before crossing into the Promised Land. The Midrash (ancient Rabbinic commentary) finds symbolism in the four agricultural species - the four species correspond to four kinds of Jew. The aravah has no fruit and no smell. It represents those who do not keep Torah and do no good deeds. On the first day you are to take branches from luxuriant trees—from palms, willows and other leafy trees—and rejoice before the LORD your God for seven days.